Dedicated to all the women who refuse to be locked up. 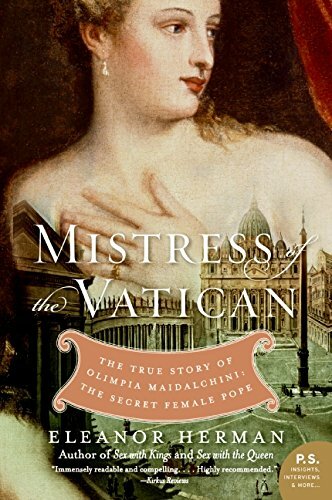 I wrote about Olimpia Pamphili in a previous post and she so fascinated me that I recently read a 2008 biography of her, Mistress of the Vatican…The Secret Female Pope, by Eleanor Herman. The book begins with this irresistible (to me) dedication. It’s a perfect opening for this engaging and entertaining book since Herman returns again and again to the theme that ran through Olimpia Maidalchini Pamphili’s life, and which was a complicated reality for many women in Renaissance and Baroque Rome: the threat of being shut away in a convent, often because the women’s families couldn’t—or wouldn’t—pay for a dowry that would allow them to marry and perhaps gain some semblance of independence, or at least be allowed to leave the house. Once a woman (or girl) entered a convent, fuhgeddaboudit! She spent her life locked up. 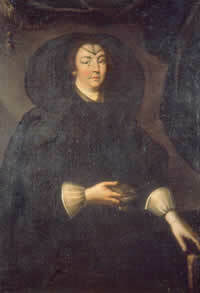 Olimpia as an older woman after the death of her second husband. But the dedication would hold special significance for Olimpia, who not only refused to be put away in a convent, but also defied those who would lock her into behaving in ways expected of the respectable daughter of a tax assessor in Viterbo, Italy, or, later, as a phenomenally rich widow and then a wife of a nobleman. In fact, Olimpia became the power behind Pope Innocent X, a man she may have loved but definitely fought for, and nearly single-handedly got elected to the papacy. Herman describes Olimpia as “a baroque rock star,” and if we compare her to some women today, she might easily line up with our (perhaps) future president, Hillary Clinton. 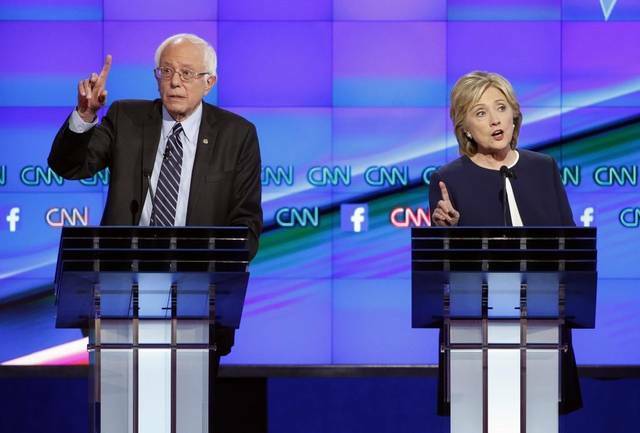 Hillary debating Bernie Sanders at the Democratic presidential debate, October 12, 2015. In fact, to use a technique Herman relies on often to bring Olimpia to life in her book, we might imagine Olimpia, staring with awe, pride, and not a little envy at Hilary, as she recently vanquished her male opponents on stage in the first Democratic debate. Had she lived today, there’s no question that Olimpia herself would have run for Prime Minister of Italy, and Matteo Renzi wouldn’t have stood a chance against her. But in 17th-century Rome, such ambitions were beyond the scope. Herman describes the age in all its gritty debauchery as “a time when dead pontiffs were left naked on the Vatican floor because their servants had pilfered the bed and swiped the clothes off the corpse.” It was Dickensian long before Charles Dickens was born. Donna Olimpia: She loved capes in her later years. Olimpia Pamphili was born into this life in Viterbo, in 1591, to Sforza Maidalchini and his second wife Vittoria, a noblewoman from nearby Orvieto. To say that Sforza was bummed that he wound up having three daughters would be an understatement. His only son, from his first marriage, became the focus of all his ambitions and he wanted to put his bothersome daughters into a convent so he wouldn’t have to pay for their dowries and deplete his growing fortune, which he planned to give to his son. Still, Sforza’s oldest daughter, Olimpia, was whip-smart, with an amazing memory and financial acumen that astounded those around her. Despite her intelligence, however, her father wanted to get her out of the way, as inexpensively as possible, so he could focus his energies on building up his estate for his son. Olimpia, 15-years-old at the time, had other ideas. She refused her father’s wishes, calling him out publicly (thanks to the Council of Trent, fathers weren’t allowed to lock up their daughters against their will), which humiliated him. Her father even hired a priest to convince her to obey, but she accused the priest of trying to molest her, and the horrified local bishop locked up the priest and told Sforza he couldn’t toss his daughter aside. It was the first scandal of her young life and set the stage for the powerful—some would say recalcitrant—woman she would become. (Her two sisters were more obedient and meekly entered a convent.) People began to learn that you don’t mess with Olimpia. 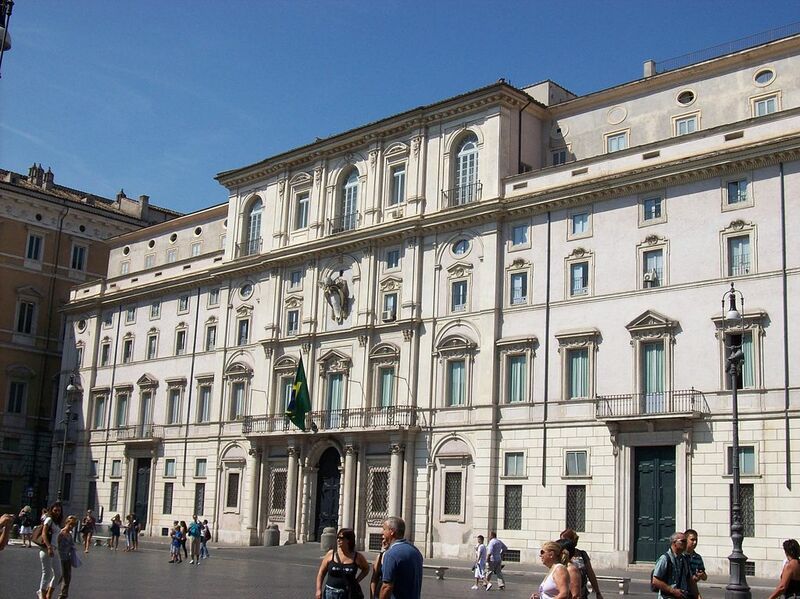 Palazzo Pamphili in Piazza Navona. Herman’s book is filled with delightful anecdotes and information about life at that time, some of which made me laugh out loud. And the core story of Olimpia’s rise to power is thoroughly gripping. Marrying into the Pamphilis made her part of Roman nobility, and there are fascinating details about the dos and don’ts of being a hostess. 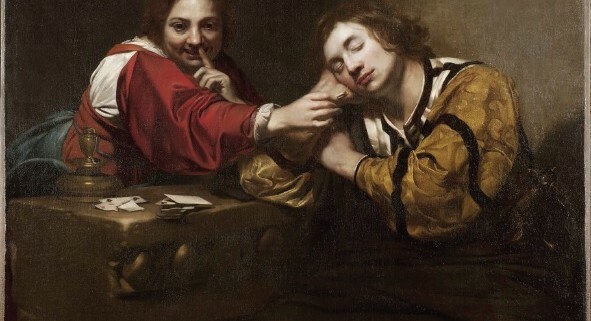 Painting from a Baroque underworld exhibit in Paris. She and Gianbattista formed a kind of partnership—she became his closest advisor— and they may have been lovers. 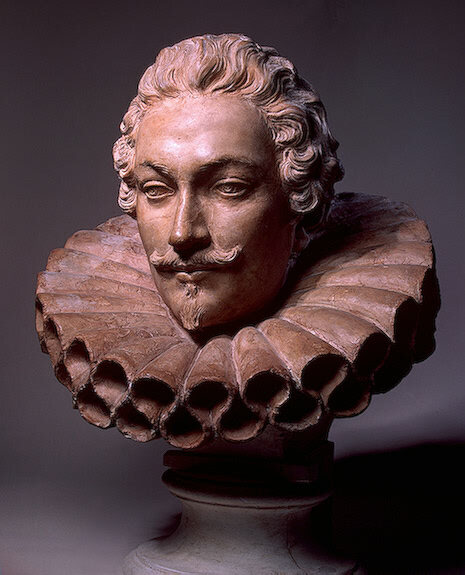 After all, in his youth, Gianbattista was such a womanizer, drinker and duelist he earned the nickname “Monsieur Pastime.” With her political moxie and gracious conversation skills (not to mention her boundless ambition), she maneuvered his career until he was made a Cardinal (by Pope Urban VIII, who was Gian Lorenzo Bernini’s greatest patron). Meanwhile, Olimpia’s marriage to the pliable Pamphilio chugged along and they had several children. Unfortunately, none of them inherited her brains or ambition. Herman goes so far as to call her son Camillo ineffectual, he was his father’s son. 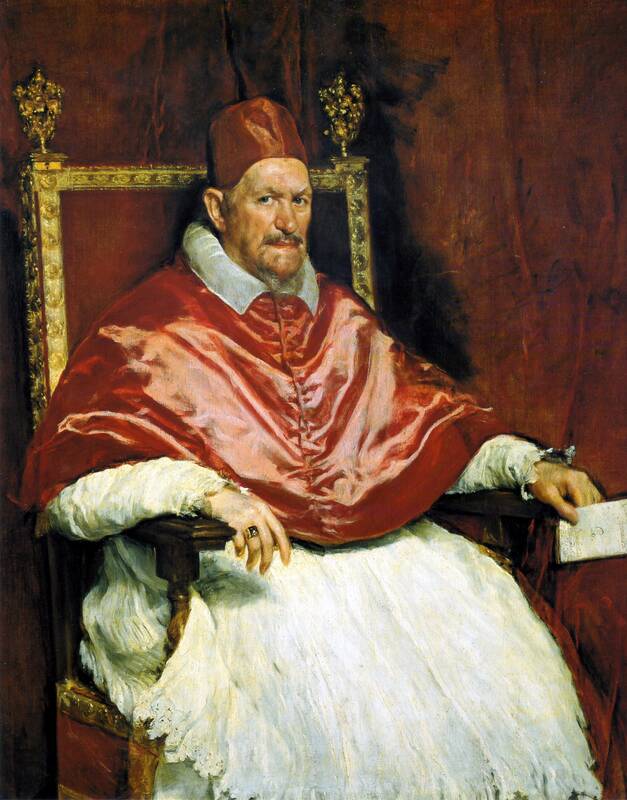 Pope Innocent X (portrait by Diego Velázquez). The details of life inside the Vatican are intriguing to read about: Why cardinals wear red, who had access to the pope (Olimpia had free reign for years), how much politicking and negotiation happened through servants and secret passageways. Olimpia was finally in her element. She even changed the face of Rome: She hired the architect Francesco Borromini to design the massive St. Agnes church next to her palazzo, and was instrumental in Gian Lorenzo Bernini earning the commission to design the Fountain of the Four Rivers in Piazza Navona, transforming the square into what we see today. 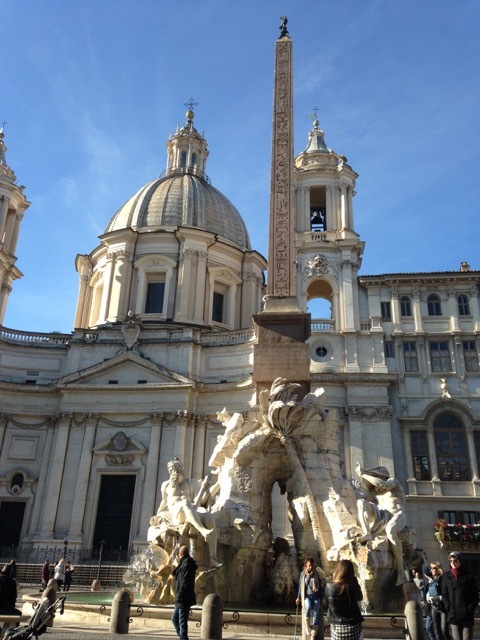 Borromini’s St. Agnes church looks over Bernini’s Four Rivers fountain in Piazza Navona. Both were created at Olimpia’s behest. She always raised eyebrows in Rome, especially by her support of local prostitutes—she let them ride around town in carriages displaying her coat of arms. She also provided money for dowerless girls so they wouldn’t have to go into convents—her greatest horror, according to Herman, who beats this point nearly to death. But things didn’t always go as Olimpia had planned. 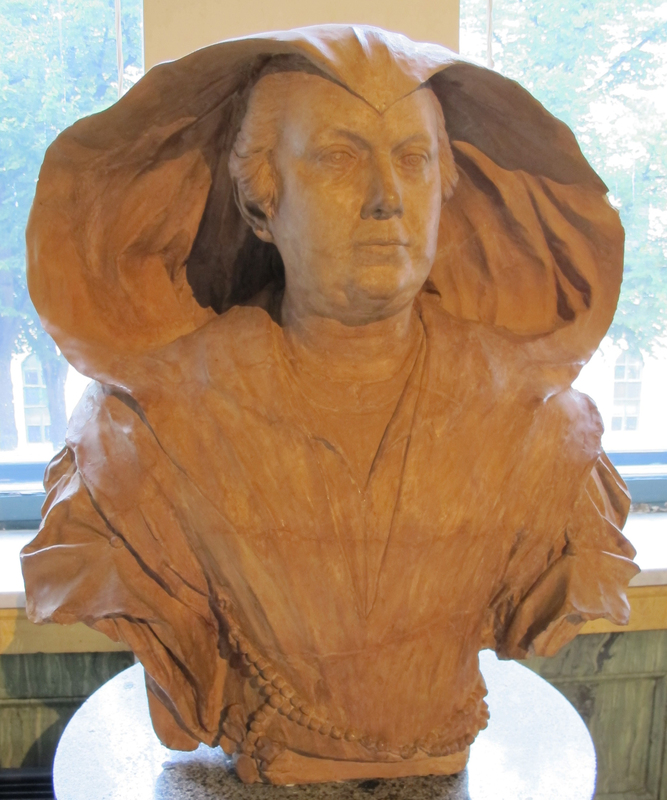 She spent years fighting with her son Camillo and his wife, a great beauty and the Princess of Rossano, who was also named Olimpia, as well as other family members. 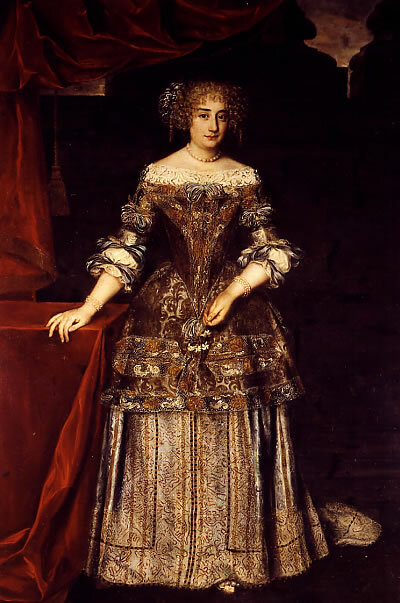 Olimpia’s daughter-in-law, the Princess of Rossano, was a bitter rival who Olimpia squabbled with. Innocent at one point got fed up with Olimpia haranguing him and caved to the pressure of his cardinals who were aghast at how much power his sister-in-law had, and kicked her out of the Vatican. She drove the men in power crazy. They didn’t know what to make of this meddling, stalwart woman who could run circles around them and who had the pope’s ear. It wasn’t long before Innocent realized he couldn’t work without her and invited her back to advise him. But she never forgot the insult. Olimpia’s reign came to an end with Innocent’s death in 1655, and the details of how she refused to pay for the pope’s burial—indeed, no one would—are pretty horrifying and show just how long she could hold a grudge. 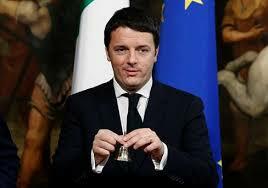 It was an undignified end for the pope Olimpia had brought to power. 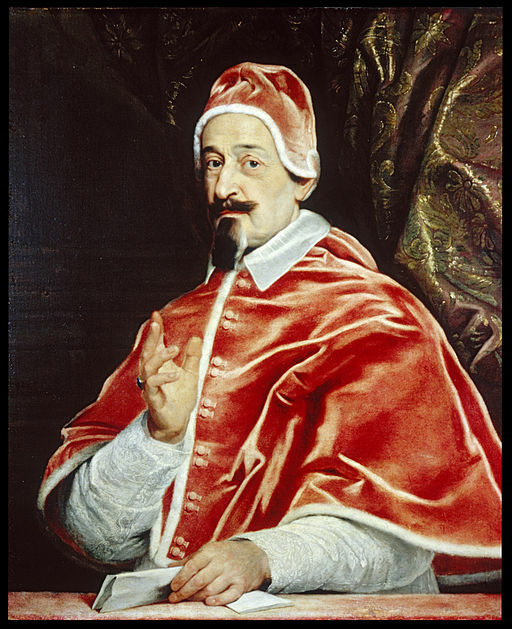 Cardinal Chigi became the next pope, Alexander VII, with Olimpia’s half-hearted blessing, but she would rue the day since he soon began an investigation into how much money she may have stolen from the Vatican’s treasury (the investigation went nowhere since there was so much theft in those days that nearly all the cardinals in the church would’ve had to be held accountable!). But Olimpia herself also came to a sad end. 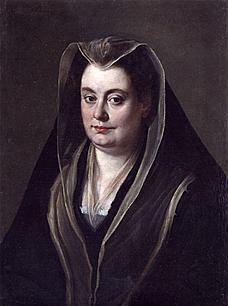 While no man or the power of the church could vanquish her, the plague that swept across Italy in 1656-57 finally did, and the woman who had been the second most powerful person in Rome, may have died alone, exiled, and under investigation for embezzling from the Church. Herman’s book is an exceedingly readable account of a fascinating, powerful, and not-always-likable woman who in many ways changed the history of Rome through her ambition, smarts, and unwillingness to be ignored. She leaves a long legacy in her wake as one of Rome’s very early feminists, and her line continues today: Brooke Shields is a 12th generation descendant of Olimpia’s granddaughter. This book is a fantastic tribute to Olimpia Maidalchini Pamphili, a woman who earned her place in history. Very nice review. I’m going to read this when I have the chance. You should Cathy! I loved it, as you can probably tell. And now I’m determined to get into the Pamphili palazzo in Piazza Navona so I can see where Olimpia actually lived.